Good-bye to My Organic Summer and Hello Fall! 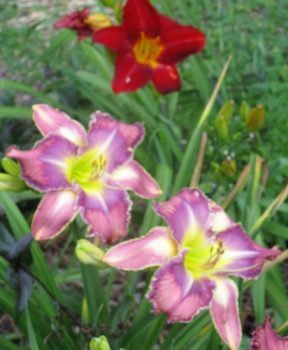 I would like to share with you some of my summer time beauty and organic gardening flowers with pictures I have taken throughout the season. I grow all my plants whether flowers or vegetables organically without chemical pesticides. I manage my pest the natural and organic way with DIY pest control. I also use and find food grade Diatomaecous Earth (DE) an organic, natural, safe product from the earth extremely useful and effective. I had a lot of problems with Japanese beetles this summer eating my roses, Impatien, and sweet potatoes, but I put DE on them and it worked wonders. I use recycled mulch, organic fertilizer whether it be dried manure and/or compost. Whatever I use in my garden I try to make sure it is good for my family’s health and the environment. 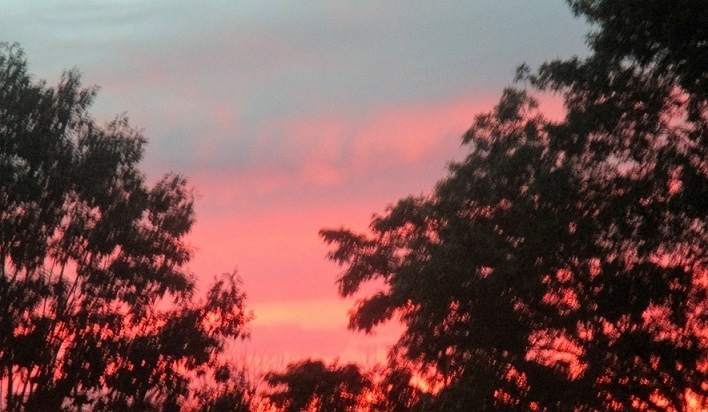 God’s Glorious Summer Time Sunsets From Our Windows! 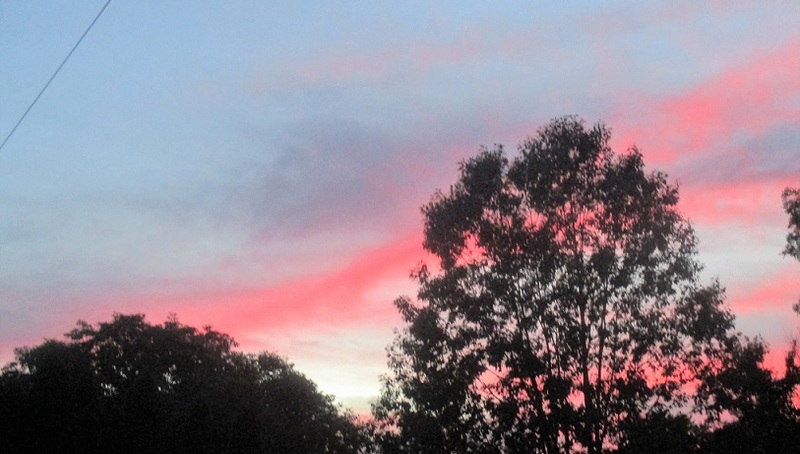 Another Beautiful End of the Day That Shows Nature’s Beauty! 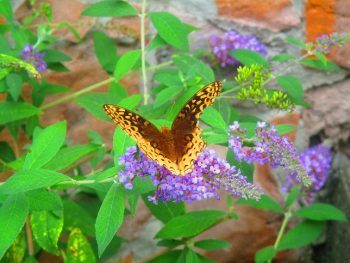 Butterflies that pollinate our world — another of Nature’s Miracles! Brown & Yellow Butterfly that fills our World with Beauty! 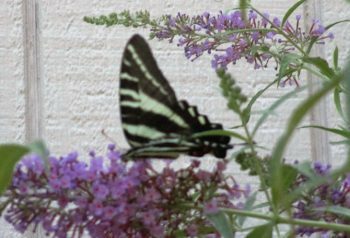 Black & White Striped Butterfly on our Dwarf Butterfly Bush! 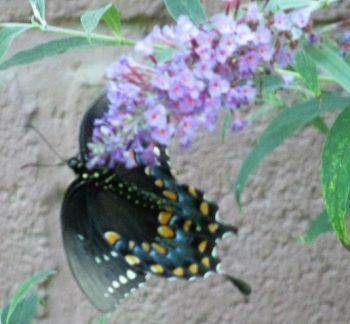 Multi-Colored Butterfly Flying Around Butterfly Bush! 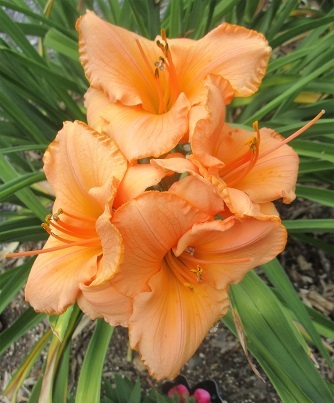 Day-lilies of Every Color Shape and Size! Red With Yellow Center & Dark Pink with white strips & Yellow Center! 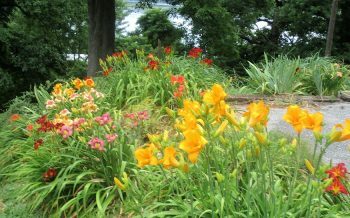 More Day-Lilies with Multi-colors & White Daises! 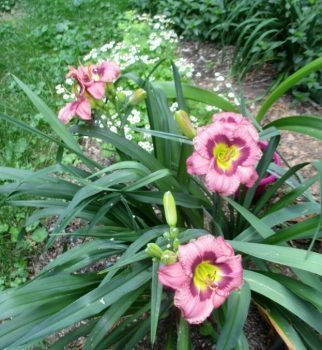 My organic Flower Garden Filled with Many Flowers – Roses, Day-Lilies, Sun Inpatients! 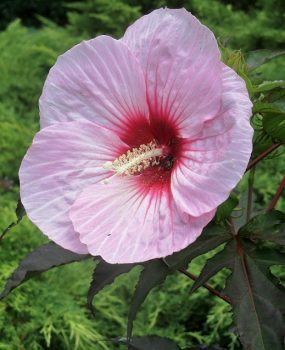 Hibiscus With Light Pink & Brilliant Bright Red center ! 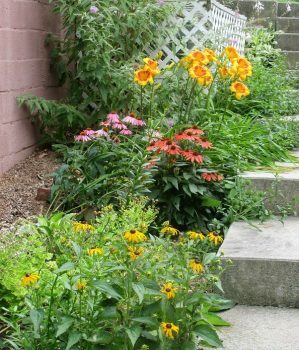 Purple & Bright Orange Cone Flower (Echincea), Day-Lilies, Black-Eyed Susan’s! Now that Fall is here –The Beauty of Nature continues! 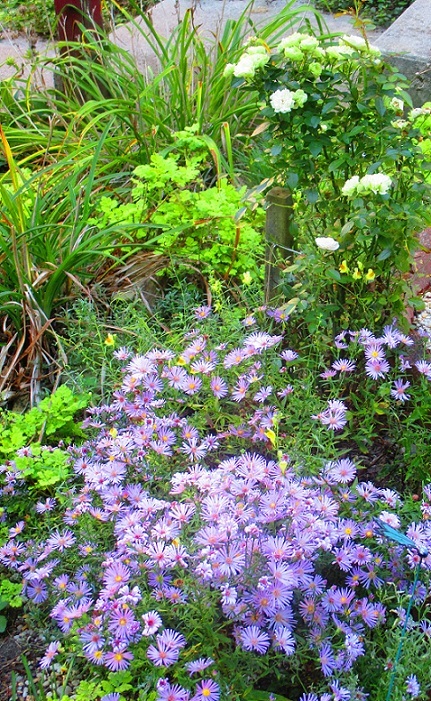 Light Purple Fall Aster’s & Mint Miniature Roses! 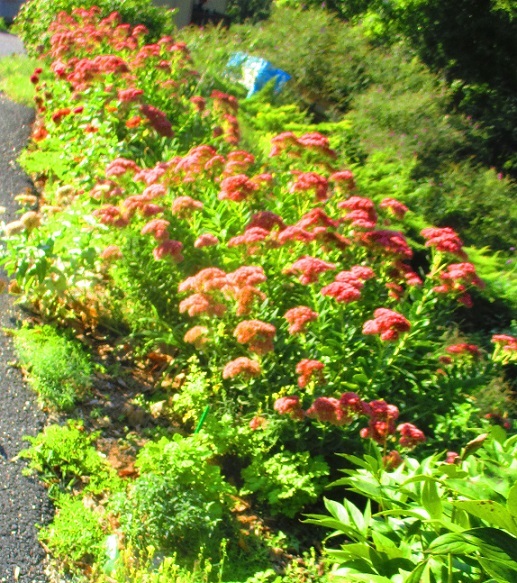 Tall Sedum & Zinnia’s growing down my driveway! 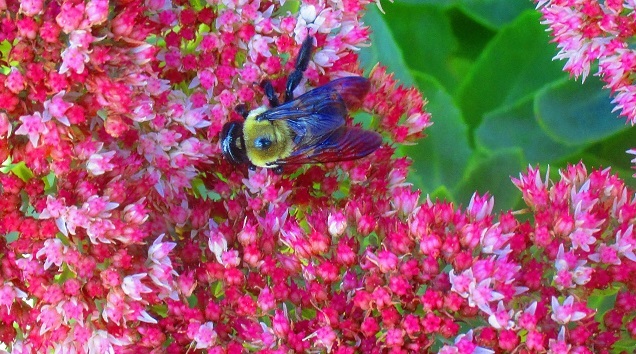 Bumble Bee Pollinating the Rose-Colored Flowers that are continuing to darken as the weather changes on the Tall Sedum! 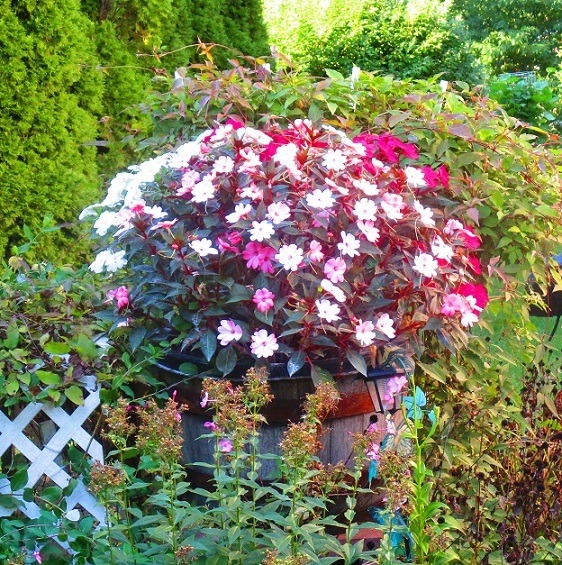 My barrel of Sun Impatiens that bloom through late Spring until Frost and make a Magnificent show of color! 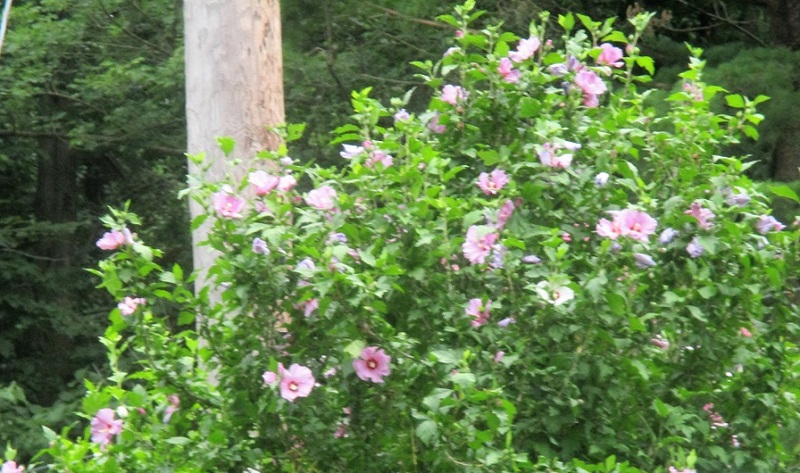 Behind them are greenery of Springtime light pink Clematis vines (which is absolutely beautiful every Spring)! 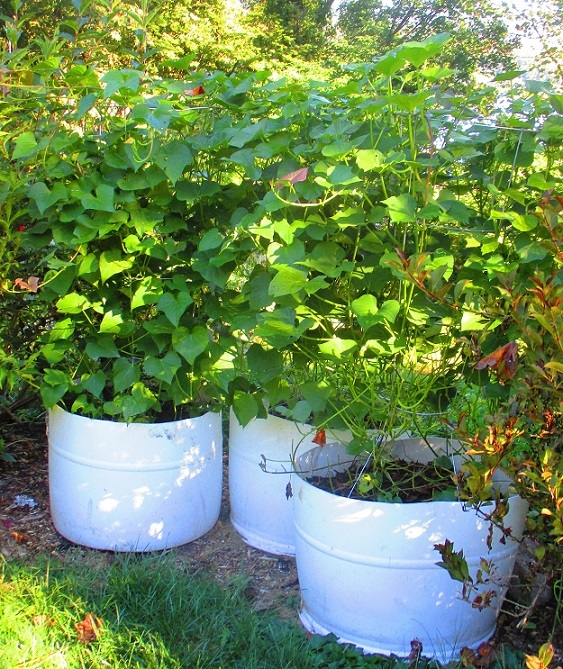 Three of our recycled food grade barrels of our Sweet Potato Plants that we grow vertically with tall tomato wire cages to stop the groundhogs from the stripping the leaves off and ruining our crop. We planted 6 barrels with 4 plants in each one. I’m hoping for bumper crop of big, tasty sweet potatoes this year to last through the winter! 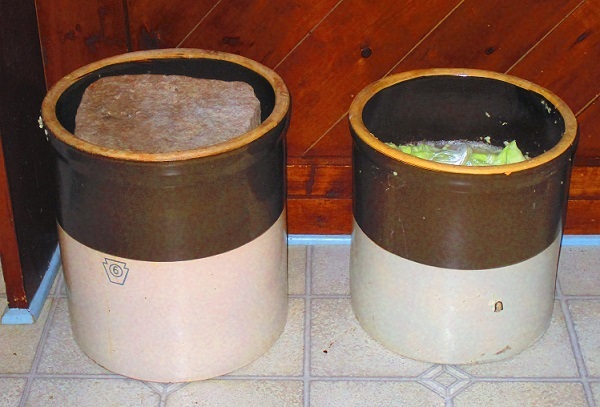 We just made our sauerkraut and it is fermenting on our crocks underneath our kitchen counter. Check our the recipe on The Saga of our Homemade Sauerkraut! A Praying Matis on my Mums that are ready to bloom in full glory! Just a one of my friends that keep me company! 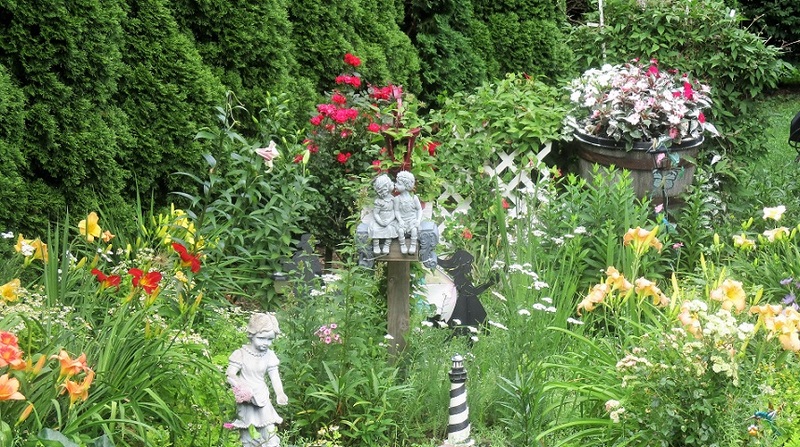 I grow many other plants – some herbs such as peppermint that I use for scent and to help purifying my house. My house is filled with green plants for their beauty, health benefits to the body and mind, and natural ability to clean the air. So my friends I have shown you some of my world where I can find peace and see God’s glory all around me. I find organic gardening healing physically and emotionally and I take so much pride and care to my flowers and all my plants. I would never think of putting toxic chemicals on my land or in my house. I hope you have enjoyed my world and much as I have enjoyed sharing my organic and healthy living lifestyle with you! Take care of your health and the health of our planet so we can leave a legacy to our children that we can be proud of and give them a safe and healthy world to live in and thrive! Shared on THE HOMESTEADED HOP! Shared on THE HEALTHY HAPPY GREEN & NATURAL BLOG HOP! I love that you grow such nice stuff organically. 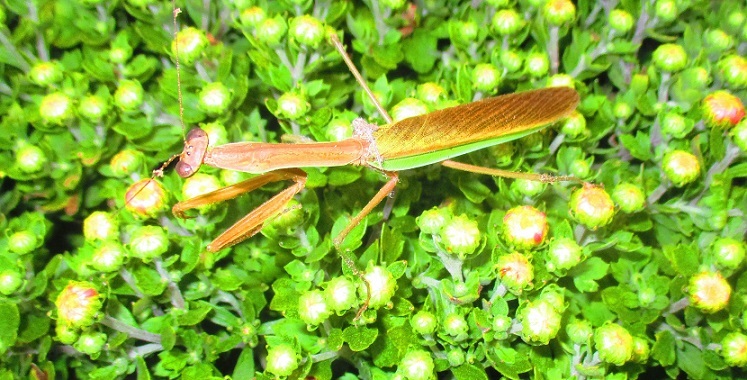 Do you put your own preying mantis in or are they local? I have seen them for sale at garden centers. They are such amazing little creatures! Thanks for the beautiful pics. No the Prey Mantis are local and we always seem to have quite a few around of yard. 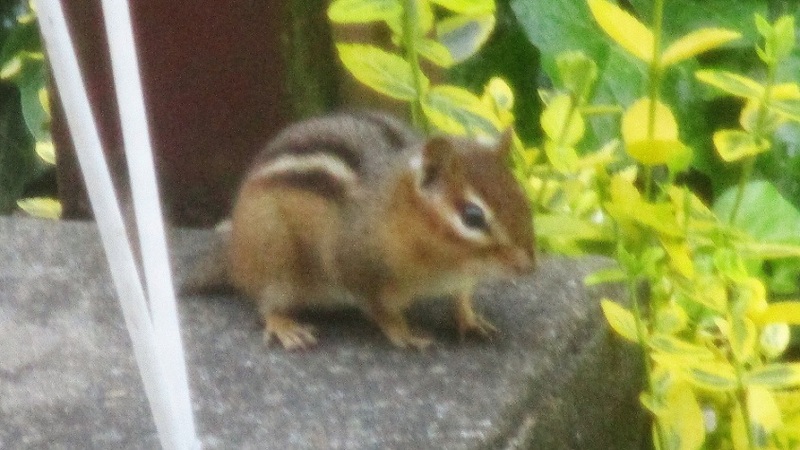 They are amazing little creatures and I look forward to seeing them every summer. I had one on the outside of my window screen for days last year that I watched every day for a while. I am glad that you enjoyed my pictures. Sometimes its hard to get those darn butterflies and bees to stay still long enough to take the pictures. LOL! My flowers and wathcing them grow and bloom have been such a blessing for me. Thanks for stopping by and commenting. Have a healthy happy & blessed weekend!